In January we ran an article about small or medium sized business in the Bristol and Bath area being eligible for a grant of up to £3,000 to upgrade your business broadband to a Gigabit-capable connection! Well, now the news is even better! 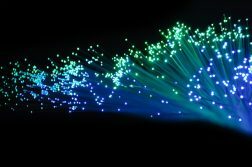 The UK government has launched a new nationwide Gigabit Broadband Voucher Scheme (GBVS). This is funded by a pot of £67m and aims to provide vouchers worth up to £3000 for businesses. This move is intended to help support the government’s commitment to make full fibre broadband available to at least 10 million homes and businesses by 2022. The Government consider this to be the gold standard of connectivity alongside the forthcoming rollout of ultrafast 5G based mobile technology. Alliance are an approved supplier on this scheme. We have already installed Gigabit connections funded by the voucher for a number of customers. They come with free installation and are fully monitored 24/7.